Combining singles and doubles, she has won 37 Grand Slam titles, 21 year end championships and 5 Paralympics titles. 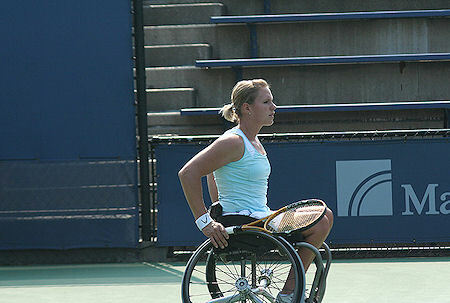 Esther Vergeer has been the world number one wheel chair tennis player for 12 years. In singles, she has not been beaten since January 2003 and is on a winning streak of 418 matches.